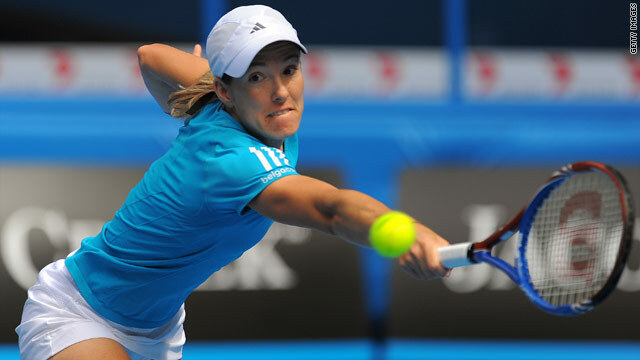 (CNN) -- Former world number one Justine Henin fought off a steep challenge on Tuesday from Russia's Nadia Petrova to secure a spot in the Australian Open semifinals as the Belgian competes in the second tournament of her comeback. Henin, unseeded in the season's first Grand Slam, edged the No. 19 seed Petrova, 7-6 (7-3), 7-5. Petrova fired off seven aces compared to four for Henin in the nearly two-hour match, but the Russian also racked up 41 unforced errors as opposed to 26 committed by Henin. Later Tuesday, China's Zheng Jie -- the first female tennis play from the Asian giant to make it into the quarterfinals -- will face unseeded Maria Kirilenko, who put out former champion Maria Sharapova in the first round. Zheng's compatriot Li Na followed her into the quarterfinals on Monday after stunning fourth-seeded Dane Caroline Wozniacki in straight sets. The 27-year-old Li ensured that two Chinese players reached the last eight of a grand slam event for the first time in history with a 6-4 6-3 victory.